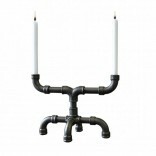 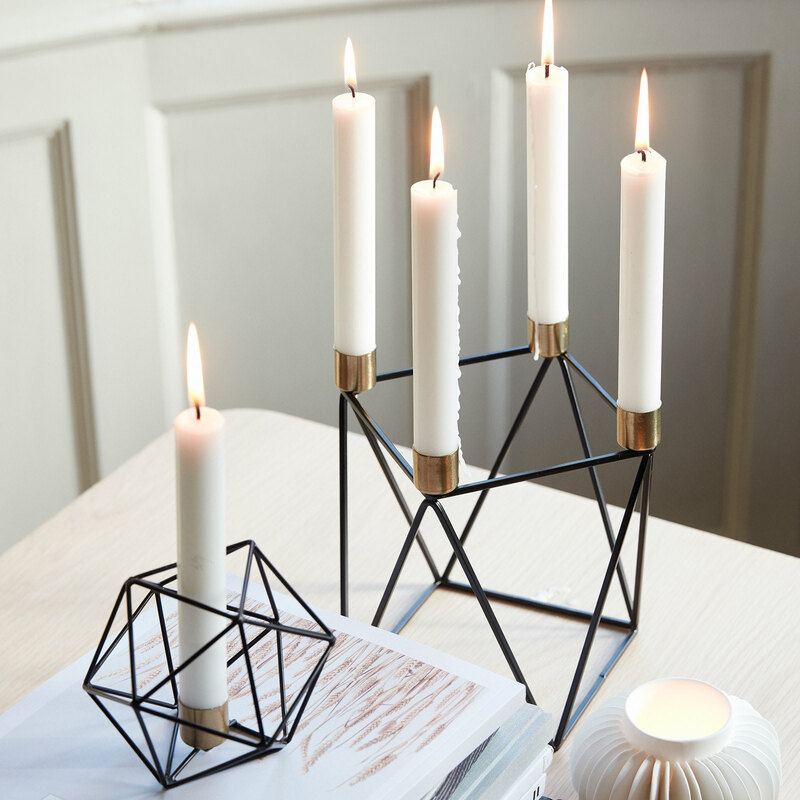 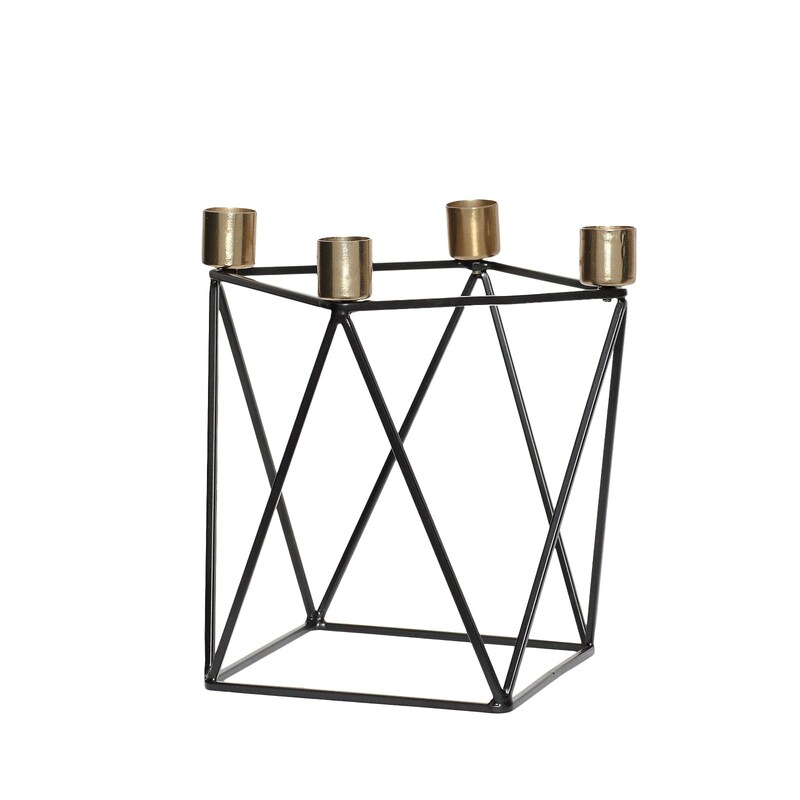 This is a modern, geometric candle holder by Hubsch. 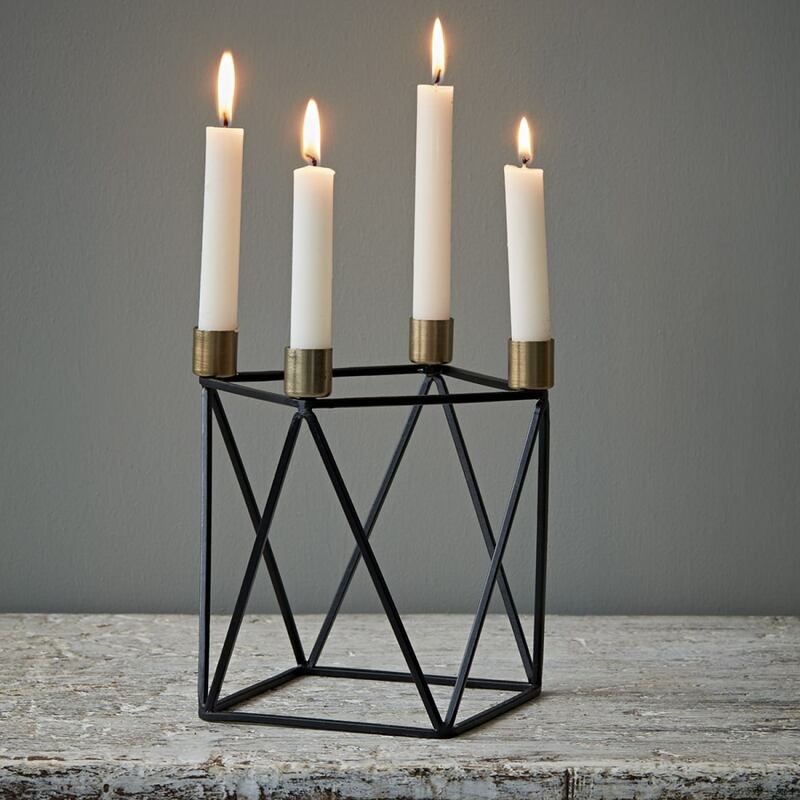 It takes 4 candles and has a sophisticated design with brass details that combines perfect with the smaller candle holder from the same collection. 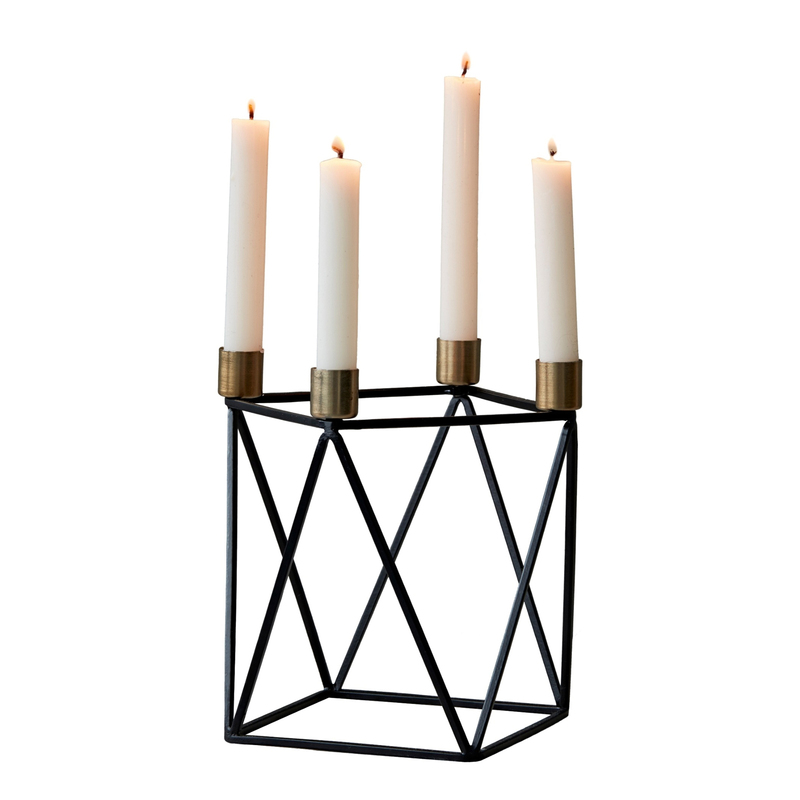 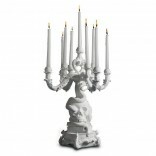 Takes 4 regular candles - Not included.